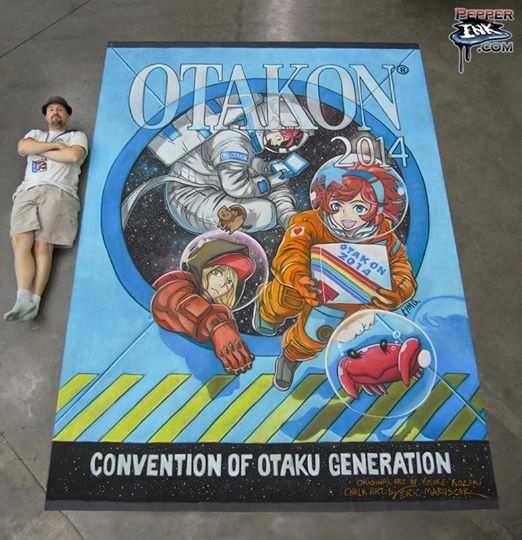 During the weekend of August 8-10 2014, I volunteered at OTAKON XXI. I’ve been a member of staff for 20 of those 21 years (less 2 due to medical reasons). Once again, in addition to being a worker bee in the Gofer Department, I (as “The Voice of OTAKON”) introduced Saturday’s Masquerade/Cosplay along with Friday’s Altima and Sunday’s Yoshiki X-Japan concerts. I wish I had taken my camera, because a few of the costumes were absolutely stunning – my favorite was the Nature Spirit from Miyazaki’s “Mononoke Hime”. During the concerts, I especially appreciated the work of Altima’s “Sato” and Yoshiki himself. Sato was the instrumental workhorse of the Altima group, playing the synths and electric guitar, and Yoshiki led his string quartet and hard-rocking X-Japan compatriots from his piano and synth. But then, I’m biased because I, too, am a keyboardist. So there. One would think that I would be an old hand at this shtick, but I still get butterflies when I address, cajole, and joke around with a concert hall filled with excited anime fans. (The largest audience was when I introduced L’Arc En Ciel in 2004, and TMRevolution in 2013 – you really haven’t experienced stage fright until you’re in front of 12000 screaming fans, led by a thousand frantic Japanese fangirls!) My favorite was also in 2013, when I introduced Yoko Kanno – a delightful person, an accomplished composer and marvelous talent. I had the privilege of watching her perform from the wings, where I could observe and crib her piano technique!